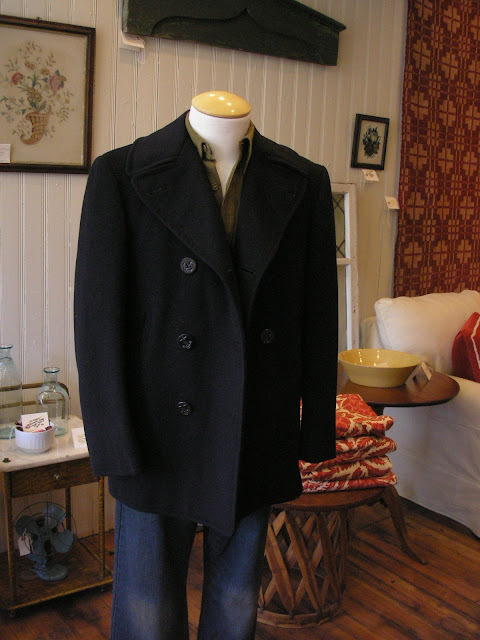 Jack + Toba a speciality store specializing in vintage clothing and contemporary antiques recently opened at 72 Great Road on the Blake Block. 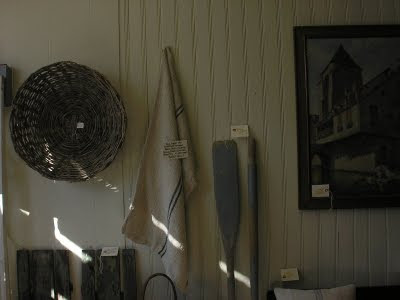 I recently spoke with the owner Suzy Watters. Suzy has been interested in design and fashion her entire life. She spent 18 years working for Ann Taylor followed by 6 years as a decorator and wardrobe stylist for individual clients. She first got the idea for the store about a year ago when she saw a for rent sign on the Blake Block and thought this would be a good location. By the time she decided to move forward, the store was rented. So when another for rent sign went up on the Blake Block a few months ago, Suzy jumped at the chance. 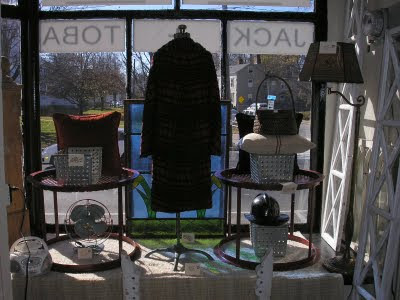 The store is named after her parents Jack and Toba who were both in the fashion industry. Her goal was to open a hip shop with a very friendly atmosphere that was a bit different from your typical everything goes antique store. Suzy saw that Concord had a lot of speciality shops and though that Bedford could benefit from a shop. She thought the Blake Block location was perfect for capturing people driving to and back from Whole Foods. Suzy mentioned that she has no formal fashion training but developed her talent through her life experiences in dressing and decorating. She grew up on the upper west side of Manhattan and fashion is in her blood. Her goal is to offer unique products with great style. 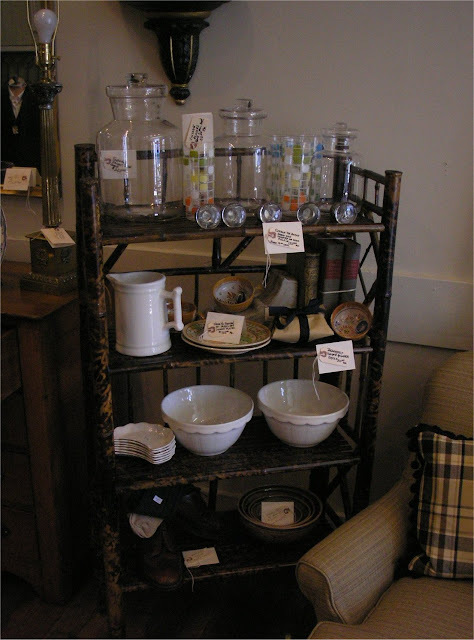 The store features an eclectic mix of upscale and classic antiques mixed with vintage clothing and home accents. 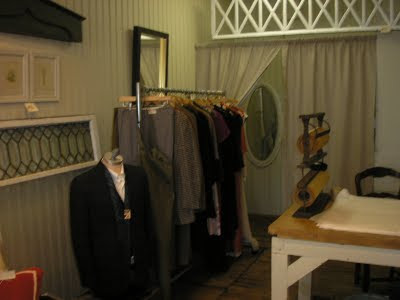 For the vintage clothing, Suzy closely inspects each item and only carries items in like new condition. Her products also include furniture. 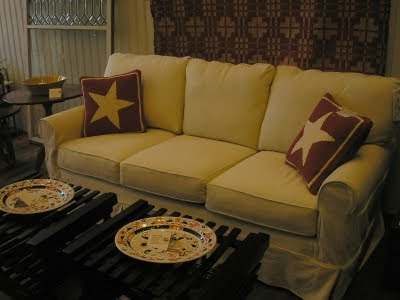 Custom upholstery is available by order. According to Suzy, so far it's been a mix of people buying items for themselves and gifts for others. She mentioned that a man recently came in to buy a suit and a short while later his wife came back in to get him a tie for the suit. So far she has gotten quite a bit of positive feedback as well as repeat clients. It's interesting to note this is the 3rd "artsy" shop on the Blake Block along with the used book store. There appears to be a decent amount of cross traffic with the other antique and design stores. With the Blake Block renovation on hold, it would be interesting to sign on additional antique stores as well as a artist studio or two and rebrand the Blake Block as a unique shopping destination.